Dr. LaRussa has been practicing Pediatric Allergy for the last 22 years in Birmingham. He obtained his B.S. degree from the University of the South-Sewanee, and medical degree from the University of Alabama in Birmingham (UAB). Dr. LaRussa completed his Pediatric residency at UAB, a Chief year at the Children’s Hospital of Alabama, and did his fellowship in Pediatric Allergy at the University of Virginia. Dr. LaRussa is Board Certified by the National Board of Medical Examiners, the American Board of Pediatrics, and the American Board of Allergy and Immunology. He is a member of the American College of Allergy, Asthma, and Immunology, and the American Academy of Allergy, Asthma, and Immunology. The Children’s Hospital of Alabama. 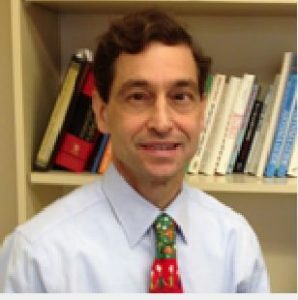 Pediatric Allergy at the University of Virginia. Dr. LaRussa understands how important it is to spend time with parents and their child, forming a partnership, and discussing all options available in treating food allergies in children, including OIT. With 22 years of Pediatric allergy experience, and having a child with peanut and tree nut allergies, Dr. LaRussa knows what it is like to be a parent of a food allergy child.